80. Teaching children about factions. 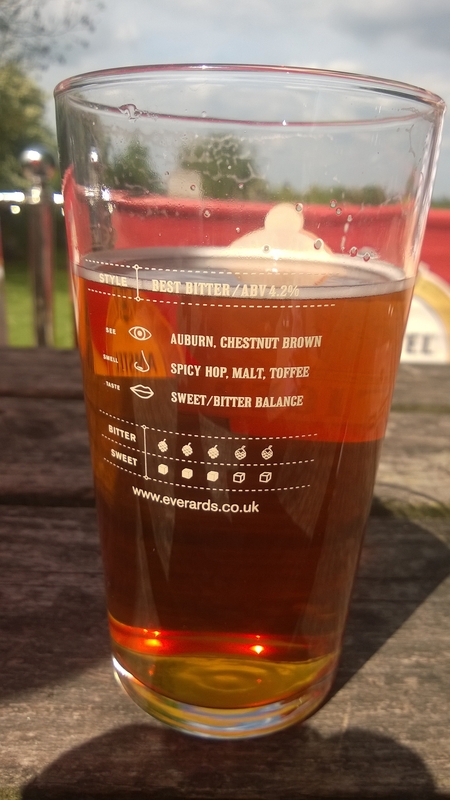 To save you a lot of work, beer now comes complete with explanatory notes and rating scales. Once I had the good fortune to visit a restaurant in Chicago, towards the top of a very tall building. On the next table, a man was ordering a very complicated steak. He wanted it done in a very particular way, no seasoning, very rare, in a mushroom and red wine sauce, but without cream, and so it continued. The waiter, maintaining excellent eye contact and nodding, finally said, politely but firmly, ‘sir, it’s not going to happen’. From that day, this has been one of my favourite catch phrases. Mainly it’s a line best not said out loud, but sub-vocally, it comes into play all the time. It’s a line that should appear as a subtitle every time a politician is interviewed. Remember before the election, when David Cameron said that immigration could be reduced to tens of thousands per year? Or when Gordon Brown promised to eliminate child poverty? Or when Robin Cook promised an ethical foreign policy? Now we are approaching another general election and the unrealistic promises are flowing freely. Nick Clegg says that suicide can be completely abolished. Thousands of new GPs will be recruited to work in Hull. Every child will learn their multiplication tables. All around us, huge neon signs are flashing, ‘Its not going to happen’. I’m not sure what kind of steak the customer at the Chicago restaurant finally got. Surveys show that behind the scenes in restaurants, nasty things happen to food going out to awkward customers. And its probably the same in the public services. You might think multidisciplinary teams, behind the scenes, are working harmoniously on your behalf. You might think the very words ‘multi-disciplinary’ are so hallowed that they must be illustrated by monks whenever they are written down and recited in plainsong. And then you read in the Sunday Times that ‘a turf war raged for years between midwives and medical staff at a hospital in Lancashire’, leaving as many as 30 innocent people dead. Very likely there are similar wars going on elsewhere, yet to be reported. None of the thirty victims knew they were in the cross-fire. Most of them were babies. That raises the question – if you happen to stumble into a war between professionals, will you realise what is happening before you’re hit? In an action thriller the first thing you’d notice would be something like having the hot dog sausage shot out of the bun by a sniper bullet, just as you were about to take a bite. There’d be a horrible red stain on your shirt and it would take a few moments to realise it was just tomato ketchup. Have you noticed every time there’s an enquiry, the conclusion is always that there has been a breakdown of communication between different agencies? And the recommendations always includes words like joined up and liaison and sharing. Maybe we have all seen too many conspiracy thrillers featuring conflict between LAPD and SWAT. Maybe we need to revise Group Psychology for Dummies, but I have never heard a management consultant or HR person suggest that multidisciplinary working is a recipe for disaster . Criticising multidisciplinary working is like criticising democracy, human rights or wholemeal bread, totally taboo. If anyone suggested starting a new profession that could do everything you needed, they would be roundly criticised from all sides. Otherwise you could construct a mental health professional for the modern era who was part social worker, part nurse, part policeman and part martial arts champion. The result would be pretty similar to the Eddie Murphy character from The Golden Child, who was a social worker and self styled ‘finder of lost children’. Or if you prefer, the Jason Statham character from Safe, or the Bruce Willis character from Mercury Rising, or a combination of all three. Though sociologists and historians have covered very nicely the struggles between apothecaries and barber surgeons hundreds of years ago, few people dare to write about inter-professional power struggles in modern health care systems. The reality in mental health services is that only one professional is involved at a time, sometimes not even one. That doesn’t stop us waxing on about the multidisciplinary team just as though it existed. Golden Child or Mercury Rising and Safe were all unpopular with critics. Each film featured a unitary professional (reformed cage fighter in the case of Safe) standing up against splintered and corrupt agencies in order to protect children and as such were felt to be totally unrealistic. What a shame our child protection heroes are just fantasies. Today, the Casey report into child abuse in Rotherham is out and all over the newspapers. The agencies clearly didn’t work together properly and are much criticised. So far no-one seems to be criticising the multi-agency model itself. Will Eric Pickles and the national crime agency sort things out? Will children be safe from predators as long as politicians, police and social services all blame each other? Or do we need a new kind of action hero? Sir, I fear, its not going to happen.